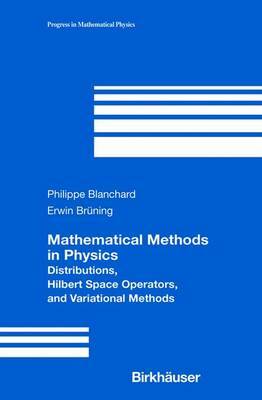 "This text is a translated, considerably revised and extended version of the book Distributionen und Hilbertraumoperatoren: Mathematische Methoden der Physik.... The book is written in a very nice and understandable form and addresses mainly students with interest in the interaction between physics and mathematics." ". . . [This] English version has been considerably revised and extended in order to improve the usefulness for students of physics and mathematics alike. For instance, proofs are now more detailed. Many added examples illustrate abstract mathematical concepts. Exercises were included to improve the skill of beginners. Some of these exercises hint to physical problems arising either in quantum mechanics or field theory. . . . Notably, there is one chapter at the end, dealing exclusively with physics applications, the density functional theory of atoms and molecules due to Hohenberg, Kohn, and Sham. In my view this is a nice way to illustrate the calculus of variations. . . . the book is self-contained, the only prerequisites being a solid background in analysis and linear algebra."